A part of what we do at the Crowsnest / Pincher Creek Landfill Association is supporting the communities that we represent. We offer this support in different ways: a community kitchen, high school scholarships, special donation funding, and regional clean-up days. We also offer user groups the opportunity to earn money by picking paper. We will pay each person in your group $14.00 per hour for up to a total of 3 hours per visit. This is an excelent way to help community groups raise money. Call the Landfill for booking a date. This fund has been set up to help local non-profit organizations with community events/celebrations, and schools needing extra funds for events. This donation which may be up to $1000.00 per year, per organization can be applied for by completing this form and forwarding it to the landfill office. 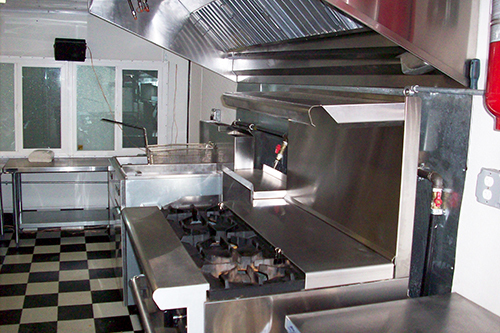 The Crowsnest/Pincher Creek Landfill Association owns a fully equipped, mobile commercial kitchen. The Association continues to look at ways to enhance the communities it serves. This project will provide a much needed service to all community events and non-profit groups looking to raise funds through Barbeques and other food services. The unit will be available for bookings immediately. The unit meets all AHS requirements and comes with all the necessary appliances and cleaning equipment. Food safety is a major concern when operating at outdoor events. The unit can be moved and set up in minutes. Groups are urged to call the Landfill and ask to speak to the Manager for further information and booking dates. A small security deposit will be required to ensure the unit returns clean. Delivery and setup can be arranged, a short training session will be provided to those wishing to use the unit. The Crowsnest/Pincher Creek Landfill Association is proud to offer several scholarships to graduates from local area high schools. The recipients of this award must demonstrate an interest and concern for protecting the environment from adverse affects caused by our daily living necessities, with emphasis on waste and/or waste water. Every spring we deliver roll-off bins to several areas throughout the region in order to help residents get rid of their unwanted household waste. Please stay tuned for details.